Seat Height 700 mm / 27.6 in. First introduced in 2005, as the rest of the motorcycles that feature the Boulevard emblem, the Suzuki Boulevard C50 signified an important step in the road to success of the line of cruisers. It did that because, given to its cylinder capacity and amazing powerplant, it offered pure excitement down on the boulevard or out on the highway and it did come cheap either. In 2001, Suzuki presented the VL 800 Volusia as a brand new model year and the bike did stand out as a beautiful cruiser in the true California spirit. Big credit was also given to the 45 degree liquid-cooled 805cc V-twin, deep fenders, a fat 17-liter (4.5 gallon) fuel tank and the longest wheelbase in its class. The recently introduced cruiser could be bought in a variety of colors which contributed to the bike’s popularity. The colors available were: Pearl Novelty Black, Pearl Frosty White/Metallic Galaxy Silver and White/Green. Also, a limited edition model was available in the U.S. (at the beginning of April 2003) with a special American Suzuki 40th Anniversary emblem mounted on the upper triple clamps, plus Pearl White color scheme with Gold pin-striping, White speedometer face with orange backlighting, rider and passenger seats trimmed with chrome studs, special ignition key fob and key chain. The new feature implemented on the Volusia was the Standard 4-way emergency flasher and high beam passing switch, multi-reflector turn signals. Suzuki felt like the Volusia should make her way out in style and the 2004 model, which is the last model produced before the introduction of the C50, presented also a Limited Edition model with special Black flames paint scheme, studded seats, White speedometer face and Limited Edition emblem. The end of the year 2004 and beginning of 2005 brought the Boulevard line of cruisers which included every single cruiser made by Suzuki. The idea was to revolutionize the design, comfort but most of all horsepower and torque by using the fuel injection system found on the GSX-R sportbikes. This is how the Boulevard C50 dropped the Mikuni BDSR34 found on the Volusia for the sportier fuel injection system providing more torque down low while the rest of the engine’s features could also be found on the new born. 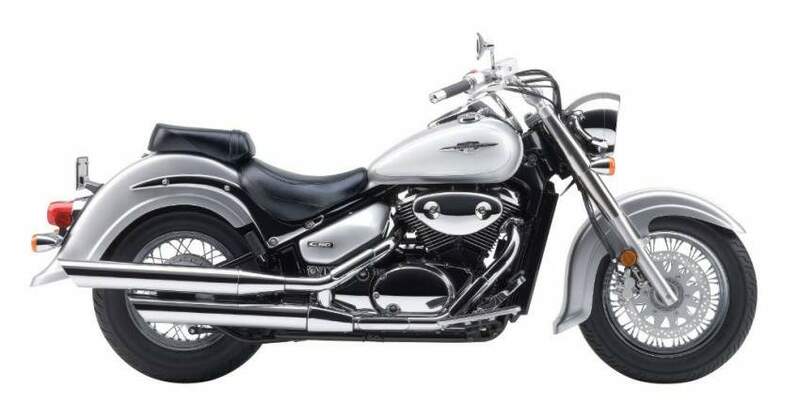 Suzuki Boulevard C50 kept its original features through the few years that passed and 2008 brings the awesome package which still reserves a lot of surprises. Stay tuned! In 2005, the Boulevard C50 made its debut on a very competitive market. In fact, the models competing with the Volusia moved their sight to the new introduced model and that is where all the fun began. The full-sized looks and 750cc performance without the fully-sized price tag of the Honda Shadow Aero seemed to be quite a challenge for the Suzuki but who’s dealing with the awesome performing engine and the classic lines offered by the C50, has always something to lose. Yamaha’s V Star Classic offers a lot of motor for its 40 cubic inch and the classic lines encountered on the sweet motorcycles seem to make it compete with the Boulevard I am reviewing but who’s kidding who? 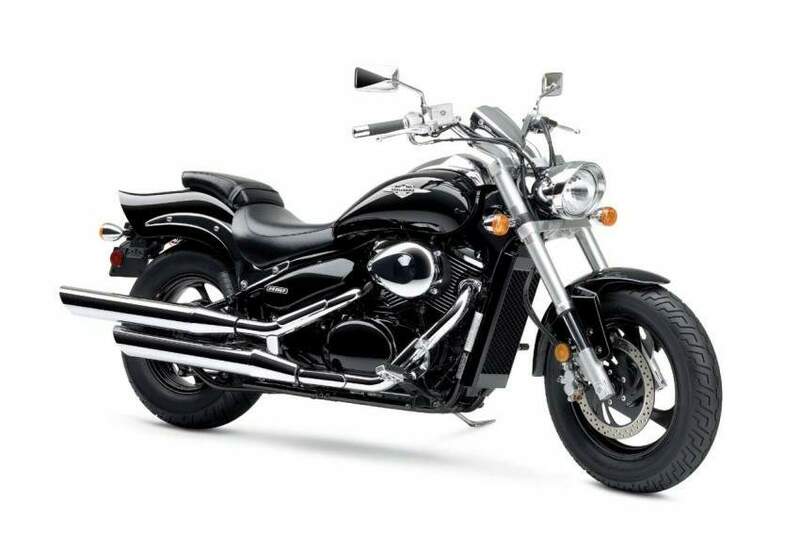 When it comes to the strongest competitor of the Suzuki, apart from the model coming from Honda, the Kawasaki Vulcan 900 Classic really pulls it through and manages to work his way on the top of the list. The bike offers balance mid-sized cruising but it also implements the look and feel of the larger V-twins. So heavyweight styling meets middleweight practicality when it comes to Kawasaki’s Vulcan 900 Classic. The Boulevard C50’s classic design begins with the flowing lines of its kicked-out front end and pullback handlebars, which perfectly complement its teardrop tank, stepped seat and boldly valanced rear fender. These lines, of course, show off its spacious seating position, which promises a comfortable ride hour after hour. The Boulevard line is completed with C50’s classic design and the highways will surely look a lot better in 2008.